Odisha ( ) (formerly Orissa) (; is one of the 29 states of India, located in eastern India. It is surrounded by the states of West Bengal to the north-east, Jharkhand to the north, Chhattisgarh to the west and north-west, and Andhra Pradesh to the south. Odisha has 485 kilometres (301 mi) of coastline along the Bay of Bengal on its east, from Balasore to Malkangiri. It is the 9th largest state by area, and the 11th largest by population. It is also the 3rd most populous state of India in terms of tribal population. Odia (formerly known as Oriya) is the official and most widely spoken language, spoken by 33.2 million according to the 2001 Census. The ancient kingdom of Kalinga, which was invaded by the Mauryan emperor Ashoka in 261 BCE resulting in the Kalinga War, coincides with the borders of modern-day Odisha. The modern state of Orissa was established on 1 April 1936, as a province in British India, and consisted predominantly of Odia-speaking regions. April 1 is celebrated as Odisha Day. The region is also known as Utkala and is mentioned in India's national anthem, "Jana Gana Mana". Cuttack was made the capital of the region by Anantavarman Chodaganga in c. 1135, after which the city was used as the capital by many rulers, through the British era until 1948. Thereafter, Bhubaneswar became the capital of Odisha. Ashoka of the Mauryan dynasty conquered Kalinga in the bloody Kalinga War in 261 BCE, which was the eighth year of his reign. According to his own edicts, in that war about 100,000 people were killed, 150,000 were captured and several more were affected. The resulting bloodshed and suffering of the war is said to have deeply affected Ashoka. He turned into a pacifist and converted to Buddhism. By c. 150 CE, emperor Kharavela, who was possibly a contemporary of Demetrius I of Bactria, conquered a major part of the Indian sub-continent. Kharavela was a Jain ruler. He also built the monastery atop the Udayagiri hill. Subsequently, the region was ruled by monarchs, such as Samudragupta and Shashanka. It was also a part of Harsha's empire. Later, the kings of the Somavamsi dynasty began to unite the region. By the reign of Yayati II, c. 1025 CE, they had integrated the region into a single kingdom. 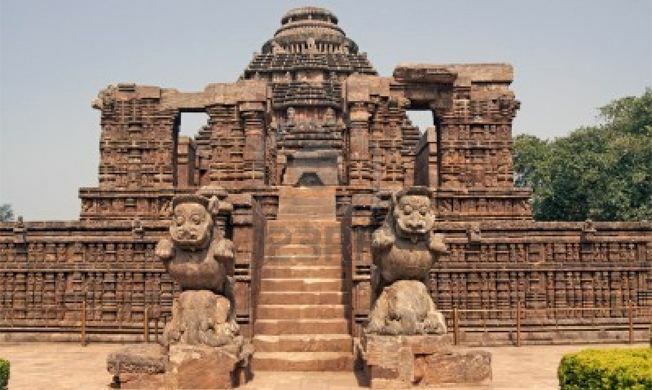 Yayati II is supposed to have built the Lingaraj temple at Bhubaneswar. They were replaced by the Eastern Ganga dynasty. 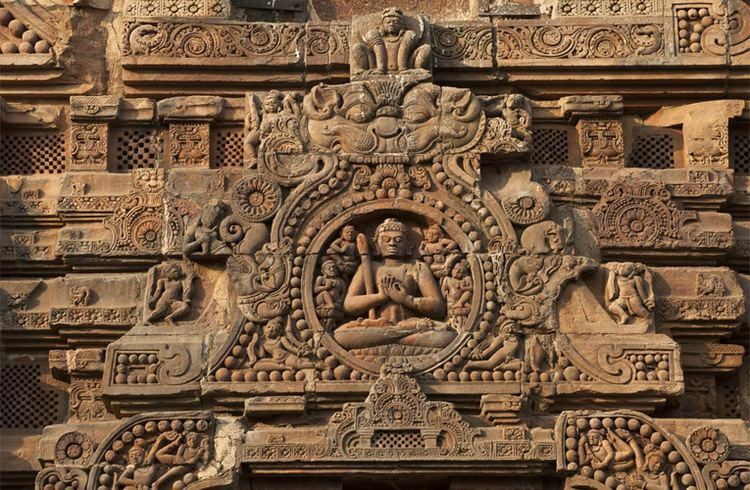 Notable rulers of the dynasty were Anantavarman Chodaganga, who began construction on the present-day Jagannath Temple in Puri (c. 1135), and Narasimhadeva I, who constructed the Konark temple (c. 1250). Orissa was the first subah (imperial top-level province) added to Akbar's fifteen by Shah Jahan. It had Cuttack as seat and bordered Bihar, Bengal and Golconda subahs as well as the remaining independent and tributary chiefs. From 1717, the Orissa and Bijar governors were reduced to deputies of the Nawab (later Nizam) of the pseudo-autonomous Bengal Subah. The state experiences four meteorological seasons: winter (January to February), pre-monsoon season (March to May), south-west monsoon season (June to September) and north east monsoon season (October–December). However, locally the year is divided into six traditional seasons (or rutus): Basanta (spring), Grishma (summer), Barsha (rainy season), Sharad (autumn), Hemant (winter), and Shishir (cool season). The main parties active in the politics of Odisha are the Biju Janata Dal, the Indian National Congress and Bhartiya Janata Party, CPI(M). Following the Odisha State Assembly Election in 2014, the Naveen Patnaik-led Biju Janata Dal stayed in power for the fourth consecutive term. Each district is governed by a District Collector, who is appointed from the Indian Administrative Service. The Collector is responsible for collecting the revenue and maintaining law and order in the district. Each district is separated into sub-divisions, each governed by a sub-divisional collectors and sub-divisional magistrates. The sub-divisions are further divided into revenue blocks called tehsils. The tehshils are headed by Tehsildars. Odisha has 58 Sub-Divisions and 317 Tehsils. Blocks consists of Panchayats (village councils) and town municipalities. The capital and largest city of the state is Bhubaneswar. The other major cities are Berhampur, Cuttack, Rourkela, and Sambalpur. Municipal Corporations in Odisha include Bhubaneswar, Cuttack, Sambalpur, Berhampur and Rourkela. Other municipalities of Odisha include Angul, Balangir, Balasore, Barbil, Bargarh, Baripada, Belpahar, Bhadrak, Bhawanipatna, Biramitrapur, Boudh, Byasanagar, Chhatrapur, Deogarh, Dhenkanal, Gopalpur, Gunupur, Jagatsinghpur, Jajpur, Jeypore, Jharsuguda, Kendrapara, Kendujhar, Khordha, Konark, Koraput, Malkangiri, Nabarangpur, Nayagarh, Nuapada, Paradeep, Paralakhemundi, Puri, Phulbani, Rajgangpur, Rayagada, Sonepur, Sundargarh and Talcher. Odisha is experiencing steady economic growth. The impressive growth in gross domestic product of the state has been reported by the Ministry of Statistics and Programme Implementation. Odisha's growth rate is above the national average. The central Government's Urban Development Ministry has recently announced the names of 20 cities selected to be developed as smart cities. The state capital Bhubaneswar is the first city in the list of smart Cities released in January 2016, a pet project of Prime Minister Narendra Modi. The announcement also marked with sanction of Rs 50,802 crore over the five years for development. Arcelor-Mittal has also announced plans to invest in another mega steel project amounting to $10 billion. Russian major Magnitogorsk Iron and Steel Company (MMK) plans to set up a 10 MT steel plant in Odisha, too. 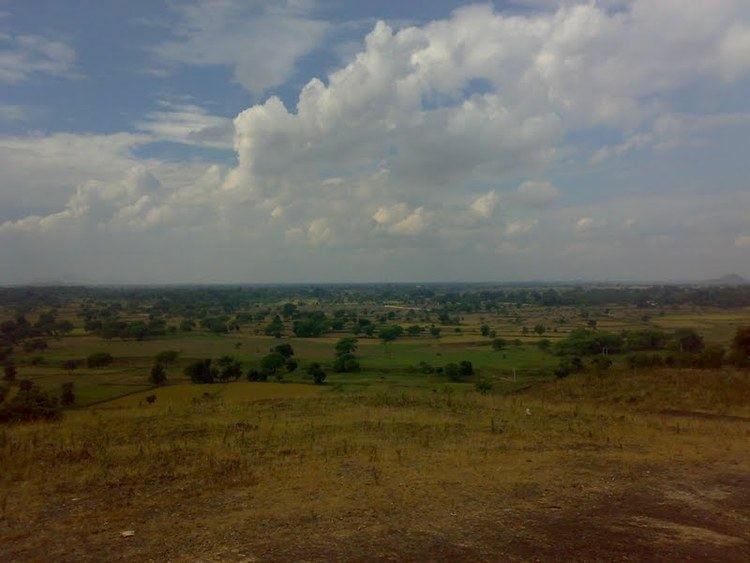 Bandhabahal is a major area of open cast coal mines in Odisha. The state is attracting an unprecedented amount of investment in aluminium, coal-based power plants, petrochemicals, and information technology as well. In power generation, Reliance Power (Anil Ambani Group) is putting up the world's largest power plant with an investment of US $13 billion at Hirma in Jharsuguda district. In the year 2009 Odisha was the second top domestic investment destination with Gujarat first and Andhra Pradesh in third place according to an analysis of ASSOCHAM Investment Meter (AIM) study on corporate investments. Odisha's share was 12.6 percent in total investment in the country. It received investment proposal worth ₹. 2,00,846 crore during the last year. Steel and power were among the sectors which attracted maximum investments in the state. Flood and cyclone are the major hurdles in Odisha's development as the important districts are situated near to the Bay of Bengal. In the five-year period between 2004 and 2005 and 2008–09, Odisha's GDP has grown by a stunning 8.74% way beyond the definition of 7% growth. It should be noted that the all-India growth during this period was 8.49%. In this period, Odisha was the fourth fastest growing state, just behind Gujarat, Bihar, Uttarakhand. According to the 2011 census of India, the total population of Odisha is 41,947,358, of which 21,201,678 (50.54%) are male and 20,745,680 (49.46%) are female, or 978 females per 1000 males. This represents a 13.97% increase over the population in 2001. The population density is 269 per km2. The dominant ethnic group is the Odia people, and Odia is the official language; it is spoken as a native language by 81.8% of the population. Linguistic minorities in the state are Bengali, Hindi, Urdu, Telugu, Ho, Santali , Chhattisgarhi.Some of the important tribes are Ho, Santhal, Bonda, Munda, Oraon, Kandha, Mahali and Kora. Christians in Odisha account for about 2.8% of the population while Odia Muslims account for 2.2% as per census figures of 2001. The Sikh, Buddhist and Jain communities together account for 0.1% of the population Large sections of the indigenous tribes follow Sarnaism, their indigenous natural religion. The people of Odisha have been very appreciative of science and technology. The Kalinga Prize has been instituted by them under the visionary leadership of Biju Patnaik since 1952. Kalinga Foundation Trust is currently responsible for this award. The award is given under is UNESCO for popularising of science and technology among common people. It is observed that approximately 25 people who got the Kalinga Prize later won the Nobel Prize. Odisha has a culinary tradition spanning centuries. The kitchen of the Jagannath Temple, Puri is reputed to be the largest in the world, with 1,000 chefs, working around 752 wood-burning clay hearths called chulas, to feed over 10,000 people each day. The syrupy dessert Pahala rasgulla made in Odisha is known throughout the world. Chhenapoda is another major Odisha sweet cuisine, which originated in Nayagarh. The variety of dances includes Ghumura Dance, Chhau dance, Mahari dance, and Gotipua. Odisha's varying topography – from the wooded Eastern Ghats to the fertile river basin – has proven ideal for evolution of compact and unique ecosystems. This creates treasure troves of flora and fauna that are inviting to many migratory species of birds and reptiles. Bhitarkanika National Park is famous for its second largest mangrove ecosystem. The bird sanctuary in Chilika Lake (Asia's largest brackish water lake) and the tiger reserve and waterfalls in Simlipal National Park are integral parts eco-tourism in Odisha, arranged by Odisha Tourism. Daringbadi, known as "Kashmir of Odisha," is a hill station in the Kandhamal district of Odisha. 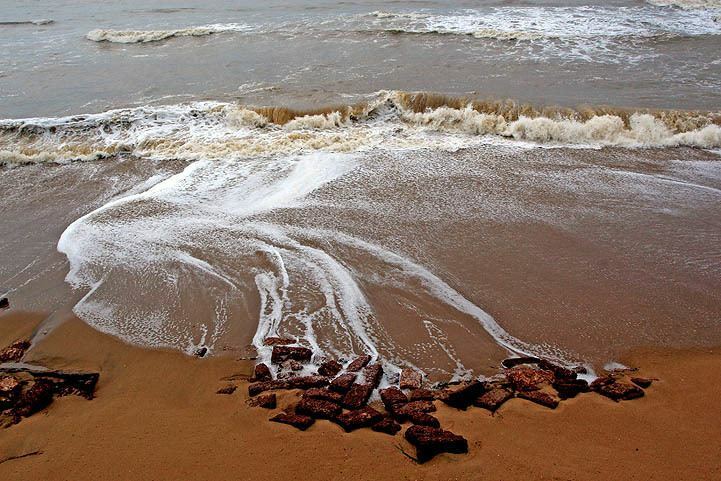 Chandipur, a calm and serene site, is mostly unexplored by tourists. The unique specialty of this beach is the ebb tides that recede up to 4 km and tend to disappear rhythmically.